Practice, heart, speed, grades. These are the fundamental words that embody the mind of an athlete. These words may seem meaningless on paper, but in reality, these words have helped thousands of athletes reach their goals of playing college sports. The dream of playing college sports drives most athletes to push themselves to the limit and become a part of the most daunting process an athlete can undergo: the recruiting process. The recruiting process requires athletes to go through a series of tournaments and camps that allows them the chance to be looked at by various college coaches. 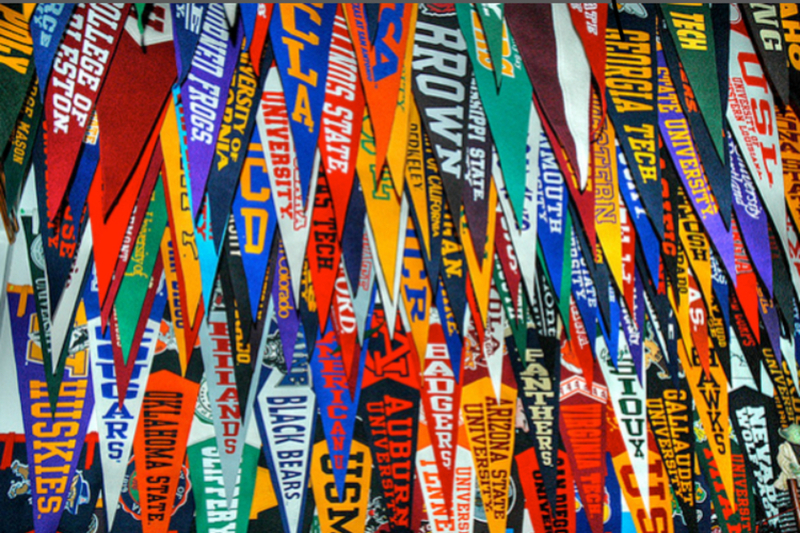 While most spend their summer relaxing, athletes are traveling around the nation to various colleges and slowly making a list of the colleges they would like to play their sport at. However, the process is not all about the sport, it also requires athletes to have the best grades possible, meaning that while they are traveling the U.S., they are also studying for the SAT, ACT, and every test and quiz they will encounter during the week. With all the hard work athletes put in to be recruited, many have come out victorious. Some of the smartest and greatest players in the nation have been recruited from our town. They have worked countless of hours to be where they are now, and their hard work has paid off for them based on the colleges they have been recruited to. Some of the best female lacrosse players in the nation play for DHS. Including, sophomores Sarah Jaques Ashley Humphrey, Catie Duggan, and senior Nicole Humphrey – these girls have been recruited to some of the top schools in the nation. Jaques is a star midfielder who committed to Northwestern during the summer leading up to her freshman year of high school. Sarah knew that she wanted to go to Northwestern since she was in 3rd grade. “When I was in third grade playing in the DYLAX house league they named the teams based on different colleges and I was placed on Northwestern. Around this time Northwestern had just won a couple national championships and everyone was talking about it. I immediately fell in love with the purple colors and aura of winning that I felt surrounded the school. When it came time to start going to camps and deciding which school I wanted to go to I considered a lot of universities, but still kept Northwestern as my main focus. I ended up going to about three Northwestern camps where I met the coaches and talked to them a lot before I committed,” Jacques said. Many think this is really young to commit because they don’t understand how anyone could know what they want in 8th grade. That’s because many don’t know that while your trying to get recruited, your also looking at the schools that your attending camps at. When the right school comes along, you will know that is the school you want to attend, even at a young age. Ashley and Nicole Humphrey are some of Darien’s star midfielders, and both have different stories to tell concerning the recruiting process and how they realized that the schools they have been recruited to, Stanford and UNC respectively, were the perfect fit. Ashley committed to Stanford during her freshman year while attending the campus in Palo Alto, California. Like Sarah, she knew the school was the right fit for her. “I started off considering many schools, and my options were very broad, but after arriving on campus in Palo Alto, I verbally committed to Stanford University. I loved the balance of academics and athletics and connected with the coaching staff and the players when I visited,” Ashley said. Like many athletes in the recruiting process, Ashley had started with a broad list of schools, attending as many of their camps as possible, and shortened it to the school she felt was right for her. Nicole committed to UNC during her freshman year as well. She remembers the process is very thorough when it came to having to choose the school that was the right fit for her. “Freshmen year I went to many different colleges of all different sizes to analyze which one was the best fit for me. After traveling all across the country looking at potential options. I fell in love with the University of North Carolina Chapel Hill. Although a typical Freshman doesn’t quite have a grasp on the perfect college, I felt my knowledge about the different schools in addition to the enthusiasm coaches offered gave me a sense of comfort which helped me make my final decision” Nicole said. For a person trying to get recruited, making a decision on which colleges to attend camps at is a strenuous process that involves a lot of planning and time. You need to make a list of schools you think you want to go to and attend as many of those camps as possible until the list has been shortened to schools that suit your style of play. Catie Duggan is one of Darien’s star defenders who committed to Harvard during her freshman year of high school. She always knew that she wanted to attend an Ivy League school when the idea of being recruited came about during the summer leading into 8th grade. “I went to a Harvard camp and hit it off with both the coaches and players. They asked me to return to another camp so I went to one during the winter. At the winter camp, the head coach asked me to return to campus for a day,to live a day in the life of a Harvard Women’s Lacrosse player. I shadowed one of the players for a day; I attended classes, met other Student-Athletes, went to lunch, and watched the team practice. Immediately, I fell in love with the school and knew I wanted to go there and play for that team. At the end of the day, I had a meeting with the coaches. In that meeting, the head coach laid out their plans for my future at their school and offered me a spot. I verbally committed just a few months later, after considering my options” Duggan said. Being able to communicate with the coaches is a fundamental part of being recruited. Many athletes spend hours typing up emails that they send to various coaches, getting their names on the lists of athletes that coach should look at during their camps or at a tournament. The recruiting process is a strenuous ordeal that is more complicated than most believe it to be. In addition to trying to find the right school, athletes need to keep GPA’s up or school’s will not be willing to look at them as maybe being an asset to their teams cause. Furthermore, Athletes in the recruiting process need to be able to give up their weekends and dedicate their time to studying and practicing the sport of their choosing.